In the past, many have tried to build a comprehensive RC model database and the task is hudge. It's now time for me to try this challenge and offer something new and usefull to the community. What will this site offer you ? I'm not testing the models, it's not the goal of this website. The purpose is to offer information about RC models. Of course, you can already find the information we are showing here but we believe/hope it will be easier for you to find everything in one place. SkyRaccoon, for the ones who already know this website, was the beginning of the history. It was a repository of model icons for Frsky radios. 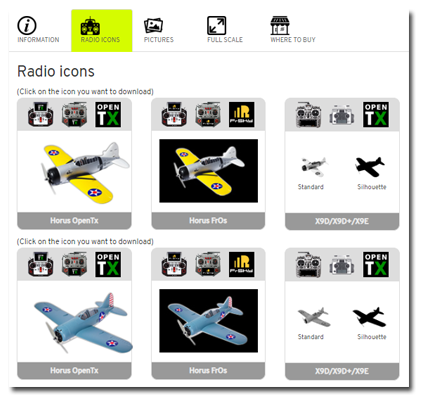 So we kept this feature, you can still download the icons to make your radio more fancy. Wikipedia is a great source of information, and once again, we don't invent anything but we send you to the right place. 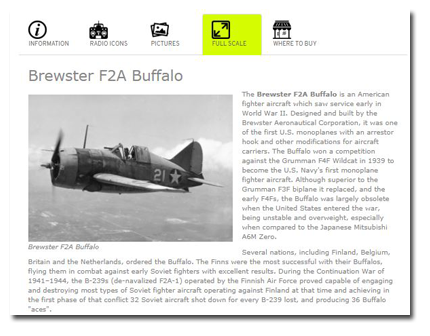 So we use the Wikipedia database when it's available to give you more information about the original aircraft. 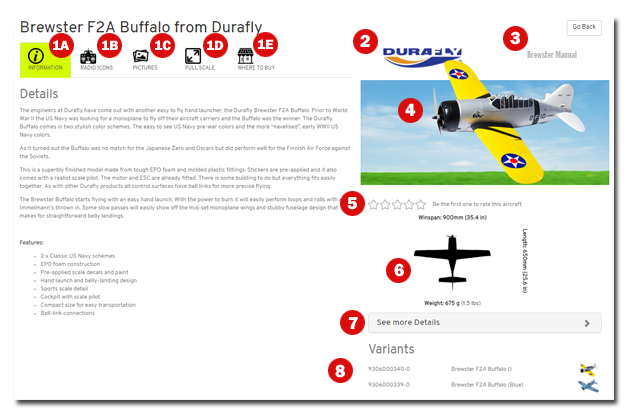 AIR-RC will also be a repository of online shops where you can buy the model your are interested in. We don't plan to get an exhaustive listing of all the shops worldwide but at least we can tell you the main ones, the ones who are offering a good range of products where you have a good chance to find your model. For now, we can't be sure 100% that the shops we are listing here are offering the one you are looking for but at least, we know they are selling models of the related suppliers. You can rate the models and help the community by giving your feedback and experience about the models you already own. For now, it's a basic 5 stars solution but we plan to extend this feature to full review thateach of you would be able to fill in. to be added to the database.